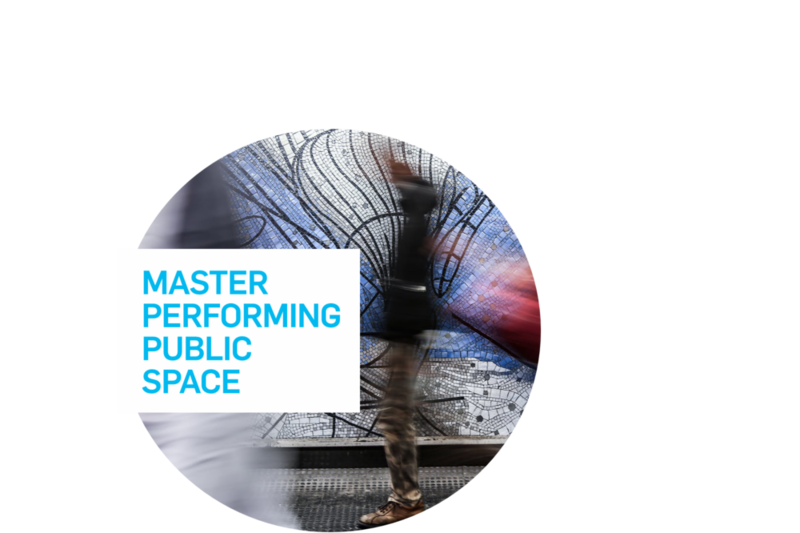 Welcome to the online gallery of the Master Performing Public Space. On this platform we collect and present the projects created by our students throughout our one-year program. The medium photography was used to establish a dialogue between historical places of the city of Leuven and the children of the primary schoolMater Dei. Together with the artist they first explored these places with the camera. The manipulation of this image was based on collaboration and creativity,which resulted in a collective memory. By exposing the nal works on the sidewalks, located on theoriginal location, also a common ground was set in motion with the neighbourhood. Photography got the opportunity to play a new role. It became the subject of a continuous dialogue between the artist and the children. The picture moved back and forth while adding a personal element. In this way time and space was created to build a new relationship. Bringing this photo out of the school also created contact in the neighbourhood. Local inhabitants adopted this artwork and shared the children’s memory of Leuven with passers-by. Just like therelationship between artist-children and history- children, also a connection originated between the artwork and the places in Leuven. Shadows and leaves of the environment made a new object that behaved as temporary landmark in the public space. PHOTO: Evy Raes | Statue of Father Damian. The children play nearby this statue behind the church. They share the space with dogs, who go out for a walk and leave their sh*t.
Evy is a photographer and educator from Antwerp, interested in transferring her work to public space. Evy became aware of the social aspect in her work early on. The experience she gained in cooperative workshops in primary schools and musea, gave her a glance on the visual literacy of children. The choice of being active in education is due to the wide variety of humans, which offer a democraticreflection of our society. to explore in public space. In the future she will focus on the creation of installations that establish a dialogue between the artist, the public and the space.